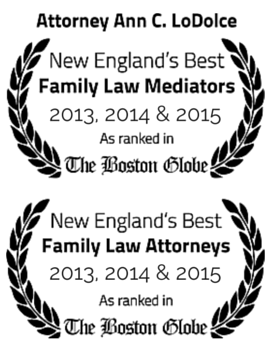 Home Divorce Attorney MA What can you reasonably expect from your attorney? In order to become an attorney, an individual needs to graduate from college, complete law school, and pass a bar examination specific to the state where he or she hopes to practice. Additionally, most states require attorneys to pass an ethical examination. The process is arduous and challenging. Qualities and qualifications most important in choosing a divorce attorney are ethics, experience, and responsiveness to client’s needs. A person must be comfortable with his chosen counsel, believing that his or her attorney is not only able to meet his or her needs, but is also able to clearly explain the process while willing to take the time to answer questions along the way. At the end of the process, the attorney is licensed to dispense advice or speak on behalf of people to advance their position. Family Law is a specific area, which requires an extensive knowledge of the law and demands patience. There is a standing joke that the difference between a criminal litigant and divorce litigant is that the criminal litigant is on his or her best behavior during the process while the divorce client is on his or her worst. A good divorce lawyer will refer the client to a competent therapist or at least suggest therapy during the process, as the unavoidable stress of a divorce has been seen to have untold physical and emotional effects on people. The more emotionally healthy a client is, the easier it is to settle the case. It is realistic to expect the attorney to return client calls within a reasonable period of time or if the attorney is in court or otherwise engaged, for someone from the office to respond. It is also realistic for the attorneys to return phone calls to opposing counsel. It is reasonable to expect to have a meeting at some time with the attorneys and both parties, in an effort to resolve the divorce, and arrive at a meeting of minds regarding the divorce. The purpose of this communication is to receive and send the required information, assemble that information into some reasonable way to begin to bring the divorce to conclusion. If the divorce cannot be concluded by the time these meetings take place, the courts will have a hearing to give recommendations for settlement, so that the process can move towards settlement.